WHEREAS, the City believes it is important to recognize & celebrate the community contributions of our B-U residents who happen to reside beyond our corporate limits, but whose service brings tremendous value & adds to the high quality of life realized by all residents of our Buckhannon-Upshur community. NOW, THEREFORE, I, DAVID W. McCAULEY, as MAYOR OF THE CITY OF BUCKHANNON, pursuant to the power & authority duly vested in me, do hereby proclaim the establishment of our City’s B-U Community Unity Award, & declare our inaugural co-recipients of our Award to be GLEN & JOANN HAWKINS of Rock Cave. GLENN & JOANN have together been instrumental to the success, & are primary sponsors & supporters of such events & organizations as the annual Central Lions Club’s Groundhog Sausage & Pancake Feed, SUBA, the All Veterans’ Memorial at the “Y,” the annual Groundhog Festival, the West Virginia Wildlife Center, & the Banks District Volunteer Fire Department. The HAWKINS recently commissioned the chainsaw wood carving of French Creek Freddie, & JOANN contributes further through her membership in the CEOs, Eastern Star, & Relay for Life. Their IGA supermarket is not merely a store, but rather serves as a primary gathering point for our friends of southern Upshur County. Simply stated, the HAWKINS’ service to our B-U community is extensive, & it is legendary. I further direct the establishment of our City’s new COMMUNITY UNITY bench to be located immediately beside our French Creek Freddie statue & the installation of a permanent placard in Jawbone Park to forever recognize GLEN & JOANN HAWKINS along with all future honorees of our award. 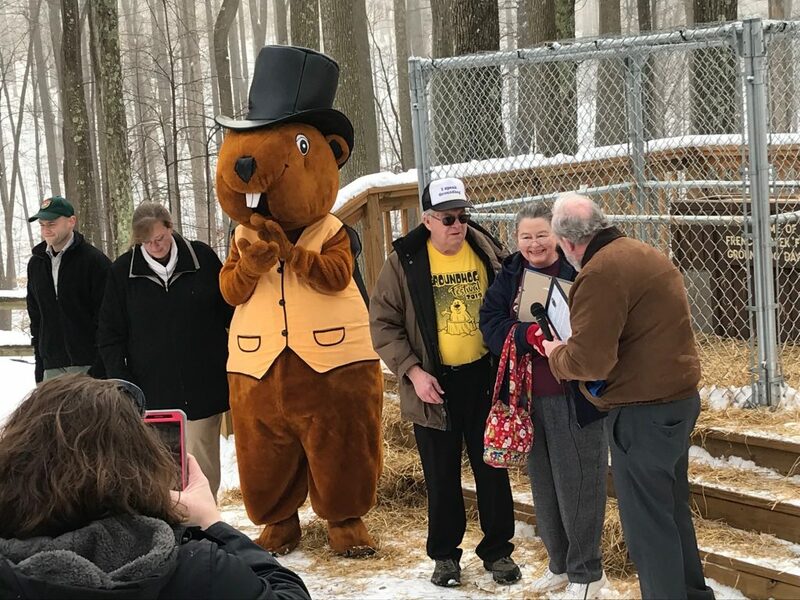 I further urge all of our B-U residents to join our honorees, GLEN & JOANN HAWKINS, their many friends & admirers, & me, along with all members our City government family during our public ceremony to be conducted on Groundhog Day at 10:00 a.m. on Saturday, February 2, 2019 as we bestow the very first Community Unity Award. We all wish GLEN & JOANN HAWKINS all of the best as they continue their wonderful service for all of our B-U community. May every resident be mindful of the importance of community service & giving of one’s self & be inspired to give selflessly for the benefit of others as we pay tribute to & appreciate the many substantial contributions of our exceptional B-U residents, including our inaugural Community Unity Award honorees, GLEN & JOANN HAWKINS.